Last month, I pared down what I included in my book roundup to only the books I most enjoyed. This month I've both read fewer books and encountered more books I didn't like, so this month I'm splitting them into two groups: the books I liked most and the books by which I was disappointed. Prior to this month I'd never read anything by Didion but I'd heard her name pop up all over other people's blogs. Slouching Towards Bethlehem is perhaps her most famous work so it's what I started with, and I loved it. Though it's a collection of her journalistic pieces from the 60s, many of the essays read like fiction. I often think of works from the 60s as all flower power and peaceful vibes fluff, but Didion's work covers mass murders, kidnappings, and bombings. I already have Didion's White Album downloaded onto my Kindle, and I'm looking forward to reading more of her work in the future. I read this one while on my Thanksgiving vacation and absolutely loved it. Part modern murder mystery, part historical fiction, part family drama, part romance, it's a story of an old, family-owned castle in Ireland that is home to unsolved murders and several ghosts. Carragh Ryan, a folklore lover and scholar, is hired to take inventory of the castle's library but is quickly entangled in the family's affairs and police investigations. It's a captivating Gothic-inspired read, and I'll be looking out for Andersen's other books too. Halsey Street is an unflinching look into broken family relationships and the reality of gentrification. Set in the rapidly "progressing" Bed-Stuy in Brooklyn, Halsey Street follows Penelope, a failed artist, as she returns home to care for her estranged father after he falls ill. As she attempts to find stability in her return to her old neighborhood and in her landlord's family, her life is upended again after receiving a postcard from her mother, who abandoned the family years before. At times brutal and others heartwarming, Halsey Street is a captivating debut, and I hope to read more from Coster in the future. Being a longtime fan of Neil Gaiman, I have of course run across Terry Pratchett's name numerous times. The Discworld series has always seemed too big to tackle, but I finally checked out the first few books from the library this month. The first of the series The Color of Magic was just okay - I liked the worldbuilding but the story was not very interesting. The second book, The Light Fantastic, however, was excellent, with a dry, sarcastic sense of humor similiar to Gaiman and a much clearer narrative purpose. Given how much I enjoyed the second book and seeing how the story could continue forward, I am now determined to make my way through the 40+ installations of Discworld, no matter how slowly. Petersen is one of Buzzfeed's cultural writers, and given Buzzfeed's reputation for fluffy journalism I was skeptical of this book but decided to give it a chance anyway. I'm glad I did - The Rise and Reign of the Unruly Woman is a sharp yet entertaining analysis of how various celebrity women who deviate from the norm are treated and spoken about by the media and the general public. Each chapter covers one person who is analysed with regard to one characteristic in particular - Serena Williams is "too strong," Abbi and Ilana are "too gross," Madonna is "too old," etc. Petersen maintains a good balance of criticising the way these women are criticised from deviating from the likes of media favorites like Reese Witherspoon and Blake Lively while still not holding back from pointing out their flaws as well. I really liked Kaur's first work Milk and Honey even with the number of crazed fans who took Kaur's words straight to heart, so I was looking forward to her next book. 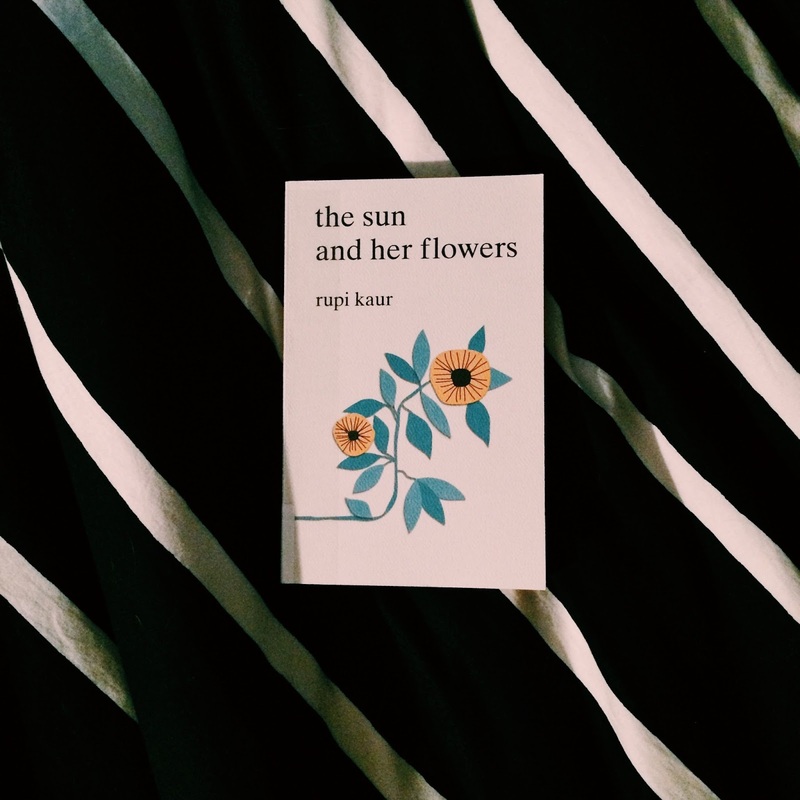 Unfortunately, I was soundly disappointed by The Sun and Her Flowers; many of her pieces felt like recycled words from her first book or reworded sentences I had read before, and I didn't feel as much of an impact reading this one as I did her last one. A few pieces did stand out to me: the chapter "Rooting" is almost entirely about the personal nature of immigration, and the poem "Broken English" in particular is exceptionally good. Overall, however, The Sun and Her Flowers is worth a flip-through but not an in-depth perusal. I have a love-hate (more of a like-meh) relationship with Eugenides' work; Middlesex was brilliant but The Marriage Plot was awful. So, I approached Fresh Complaint with a little hesitation, worried about how good his collection of short stories would be. On a whole it was average, I liked some and disliked others. What lands this collection in The Bad category is the almost ever-present undercurrent of misogyny running through many of the stories. Pieces like "Baster" and "Find the Bad Guy" in particular left a bad taste in my mouth. After greatly enjoying the first two installations in Atwood's dystopian MaddAddam trilogy, I was disappointed by the final book. What I enjoyed about the first two was the constant switch back and forth between past and present timelines, which kept the otherwise inanities of post-apocalyptic life from getting too boring. This time, however, there isn't as much switchback and the past it does cover is of a character I had very little interest in. Furthermore, Atwood changes some of the characters' personalities in a way that makes them whinier and more annoying, and it was a little off-putting. I liked knowing how the series ended, but otherwise I wished I'd stopped after the second one.